The three-bulb LED spotlight Runner is designed largely in matt white with small black details, which means that it can be used as a flexible light source in many different rooms. 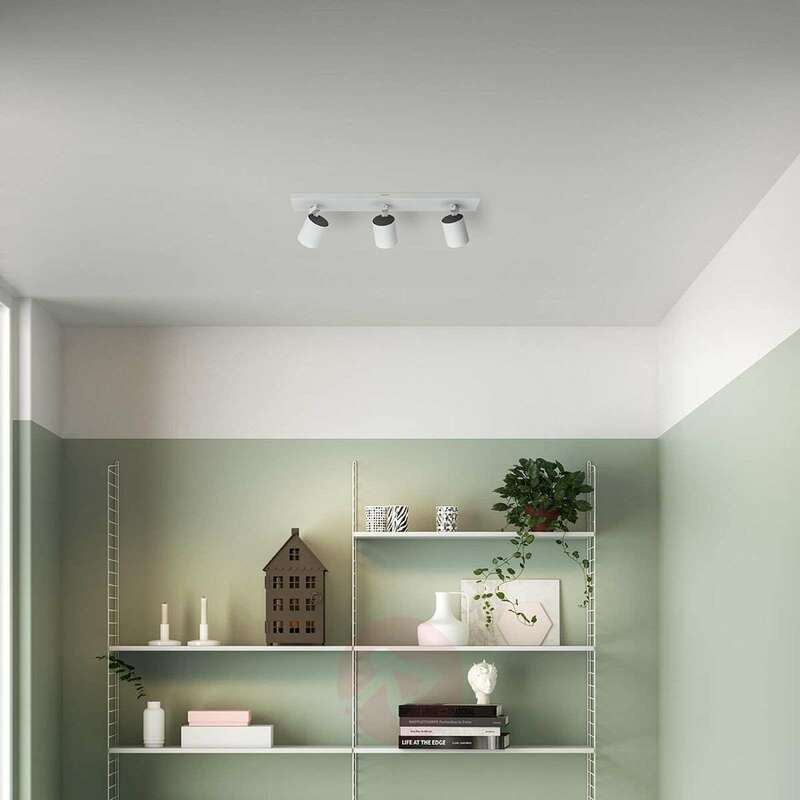 In addition to warm white lighting at full brightness, the spotlight also provides cosy lighting, as all kinds of dimmers can be used to adjust the built-in LEDs. 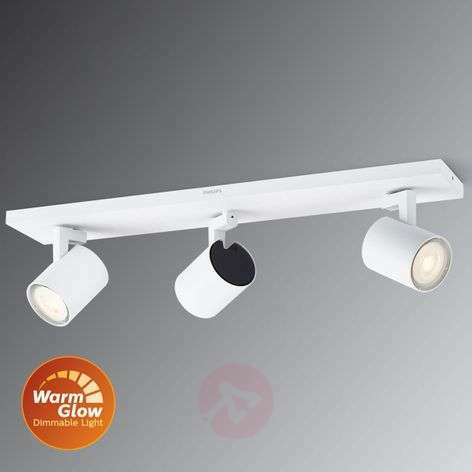 The 3-bulb spotlight is delivered with energy-efficient LED bulbs, but can also be fitted with GU10 halogen lamps with a power consumption of up to 50 W. The functional yet elegant LED spotlight Runner is made of resilient, high-quality materials and achieves accent lighting due to the adjustable spotlights.